This week in KeratoScoop: Journal roundup! Events. Product shortage updates. Lid hygiene coupon! Make sure and read Dry Eye 101 if you haven't already. Dry Eye 101... a must read! Learn more about dry eye! Maybe you're new to this struggle. Or maybe you've been dealing with it for quite awhile, but need some fresh ideas. 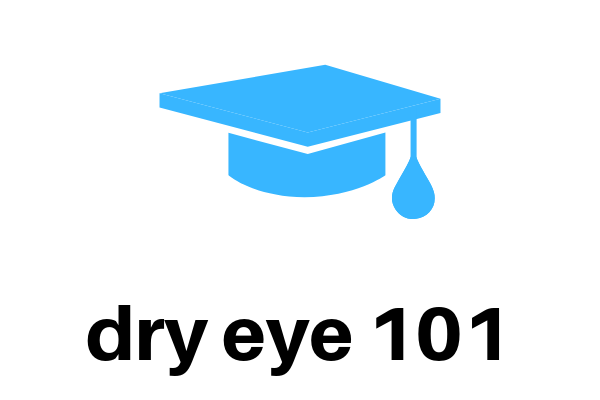 Please take some time to read Dry Eye 101 to get a broader perspective on the wide range of things that fall under the "dry eye umbrella" and the types of solutions that can help. This article should help you formulate more questions to take to your doctor, or might help you determine whether it's time to seek more specialized help. Eyes hurt too much? Listen to the audio version instead! Catching up on studies in the past six weeks or so! I've highlighted some that were of particular interest, at least to me! More on environment, electronics and the office: Sick building syndrome; pollution; and computers, blink interval and tear break-up time. Sleep, sleep, sleep! Couple of studies on the relationship between sleep quality and dry eye as well as sleep deprivation. The former also relates specifically to depression and anxiety. 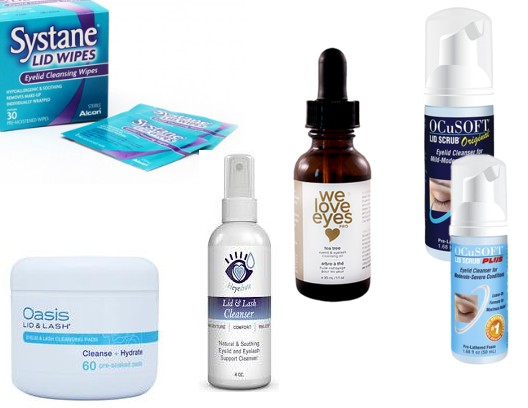 Dry eye therapeutics: This is just my first round of getting caught up on studies as there's quite a lot that has come out recently but today's blog post covers recent studies on CEQUA, TrueTear and CyclASol. Do you know why good eyelicare is such a crucial part of dry eye care? Read Dry Eye 101, or speak with your eye doctor. The most common form of dry eye is not low tear production - it's evaporative dry eye, usually associated with eyelid disease. March 23 (Houston) NKCF Family Symposium for Keratoconus patients in Houston. I'll be at this one. I really enjoyed last year's events at Irvine and UNC. Registration now open. Take advantage of the early bird discount! April 5-6 (Boston) - SSF National Patient Conference: "Conquering the Complexities of Sjogrens" Click here for brochure and registration form. I've been asked about the possibility of forming a local support group in the Toronto area. If you're interested, please get in touch! Sponsor some saline for a PROSE user? We have a regular to whom we provide monthly saline at no cost due to financial need, but her usage needs have increased substantially and I thought I'd reach out to see if anyone is interested in contributing to her costs. If you're interested, just reply to this email. It could be done by purchasing a gift card, or sending a check, or whatever. Thanks for considering! We are looking forward to the day when the Dry Eye Foundation has a fund dedicated to this, but in the meantime, we do what we can :) This individual, by the way, used to be on the Alcon patient assistance program, which, sadly, went away with Unisol 4 and has left a gaping hole. PROSE cases: Waiting on firm date. Looking like mid February. Refresh PM ointment (Allergan): Current estimate is late summer. Refresh MEGA 3 appears to be finally be back in stock at Allergan... we've had 'false positives' before, but hopefully this is correct. Systane Ointment, Systane Gel, Genteal Ointment and Genteal Gel: I haven't had time for my weekly "call customer service, get told 'next week' and then find someone else to harass about it" routine yet. I'll update the tracker when I do. I was amused to see a senior operations manager attempt to join our patient-only Facebook support group after my last gentle reach-out. Is someone listening? For more details, visit our Shortage Tracker. Between having a very sick child for several days now, and having to keep the shop closed yesterday due to snow and ice, I'm strapped for time this week. I'm about 30% of the way through the list of studies from January that I want to write up, so next issue should be pretty packed. Any or all of the following would be greatly appreciated! Purchase something once in awhile at dryeyeshop.com that you could have gotten somewhere else cheaper. Pledge $1, $3, $5, $10, or $25 monthly on Patreon towards our education work. Need to tweak your email preferences? Choose whether you want to hear about dry eye, scleral lenses or both, and how frequently you would like to hear from us.